Am I allowed to talk about Christmas yet? Oh, sod it, I'm going to anyway. I'm the sort of person that creates a Christmas playlist on 1st October (oh, alright, September) and it NEVER GETS OLD. So, if I can find ways to combine my festive spirit with my other great love (which I'm hoping you've guessed is wine after all these months yakking on about it) then I am a very happy bunny indeed. The Contemporary Home have allowed me to do just that by creating wine bottle Christmas tree decorations! 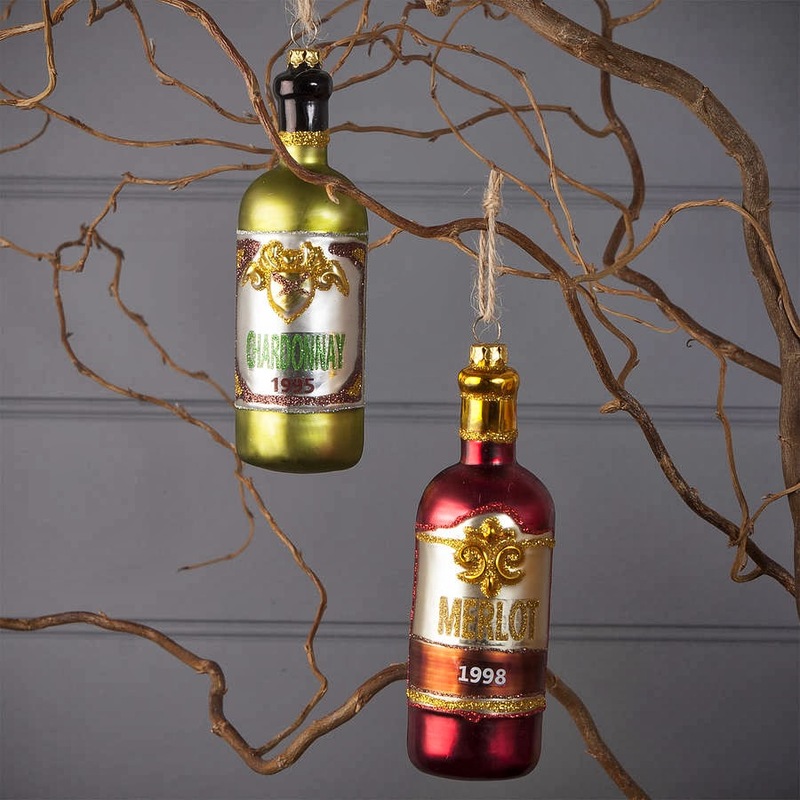 Yes, actual glittery, festive little bottles of 'merlot' and 'chardonnay' (and they're the 1995 and 1998 vintages too, so they must be pretty special - these guys ain't messing around) that you can use to festoon your festive fir tree. Happy face = me. Okay, they're not the classiest decoration - they're not going to be seen in any of the department store Christmas displays, that's for sure - but come on: they are seriously good fun. You can choose from red or white, and the decorations are £5 each. I guess that means a case of these glorious wine decorations is £60... I'm not sure I'll stretch that far, but I'll definitely put one of these fellas on my tree and raise a glass to it on Christmas day. Probably not a 1995 Chardonnay, though.